This may surprise you, but just getting traffic to your Magento eCommerce store. Whether it is direct, organic, paid, Luckily, there are a plenty of Magento extensions available to help you increase credibility, and overall boost the conversion rate for your Magento store. 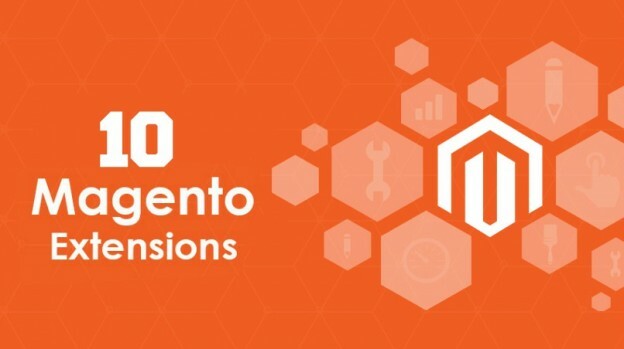 We’ve listed the top 10 Magento extensions here to help you get more sales. Magento is acknowledged as one of the best eCommerce platforms and is broadly famous amongst online sellers over the world. There are a lot of great extensions out there for Magento store owners that can assist enhance the management & marketing performance of your online store. Besides, these extensions can be integrated into the Magento store development process to enlarge its functionality and take it into a more higher. Checkout Suite is a popular Magento extension that serves the purpose of simplifying the checkout process on your Magento store. Besides, it offers a one-step checkout, wherein the user can access all the necessary information as soon as they continue with the checkout process. So, the extension results in an improvement in conversions & decrease in cart abandonment on the eCommerce store. Bronto gives a cloud-based marketing platform for your eCommerce store. It allows you to build robust marketing strategies by accessing comprehensive user history compared to past orders and product details. Besides, this extension triggers a message when a user rejects his cart and automatically sends him reminder messages to make the transaction. Data integration over lines of business is frequently important in the eCommerce world. Whether you require to get your website platform to work fine with your ERP or CRM, specific tools that streamline data sharing processes can play an essential part in simplifying data workflows. This extension allows organizations to establish field maps for their online stores, synchronize product and consumer data between Magento 2 & Salesforce. Content can play an effective role in assisting retailers to stand out from their competitors. Blogs can build a brand’s identity online, establish relationships with readers and generate organic traffic from search engines. Better Blog for Magento 2 intends to exclude much of the complexity of running a blog by a streamlined interface that makes it accessible to organize & order blog content while optimizing the backend for SEO goals. An effective SEO strategy is important for a Magento website as it improves its search visibility and generates more traffic for it. MageWorx Magento SEO Suite empowers the online store’s SEO by excluding duplicate content, optimizing the website keywords, building a good on-page structure & improving the standard Magento sitemap system. It also guarantees smooth & secure mobile transactions and allows all types of debit and credit cards. Besides, it helps you to protect the personal details and thus gain the trust of the buyers to stand out in the competitive market. Online Auction is a revenue-driven extension which allows the customers to join the auction in order to bid for the desired goods. So, it is convenient for the retailers too as they can control the market & stay in demand forever. Increasing your CTR is the greatest thing you can do to help increase your conversion rates. Hence, if you need more sales, you must keep your product page’s meta titles, description and keywords are clear & actionable. This extension will help you to make your product page’s titles, description, keywords are more unique and attractive. It is necessary to have an individual approach to the customers in case of dropped carts since they require sending a unique customized email with the different link to return their shopping carts. Amasty’s extension allows users to create different types of email templates to make the message quite personal to the consumers. Social Connect is a very useful extension which gives social icons on the Magento store’s login page. The consumers are ready to log in with their social media accounts by utilizing these buttons. This extension facilitates the registration & checkout process as well as it makes your online store user-friendly. An online seller wants to get a comprehensive overview of his online business and requirements. Thus, the above-mentioned extensions can be integrated during the process of the eCommerce store development to get one that looks amazing & performs well. SaiVenkat is a professional Senior Digital Marketing Executive, blogger, and trainer who offer Digital Marketing training in Chennai. He loves to share the knowledge about latest Digital marketing trends around the world. He is working as a senior Digital Marketer at Zuan Education. This entry was posted in Magento Extension and tagged 10 Magento Extensions, Magento Performance Optimization, Optimize Magento Store on 25,Jun,2018 by Harshal Shah.